ItemE-01927 - East Side Of The Grand Arch, Yates And Government Streets; Erected For The Visit Of The Earl Of Dufferin. ItemE-01928 - Fraser River At New Westminster. ItemE-01931 - Victoria. Band From HMS Shah On Grounds Of Old Parliament Buildings. 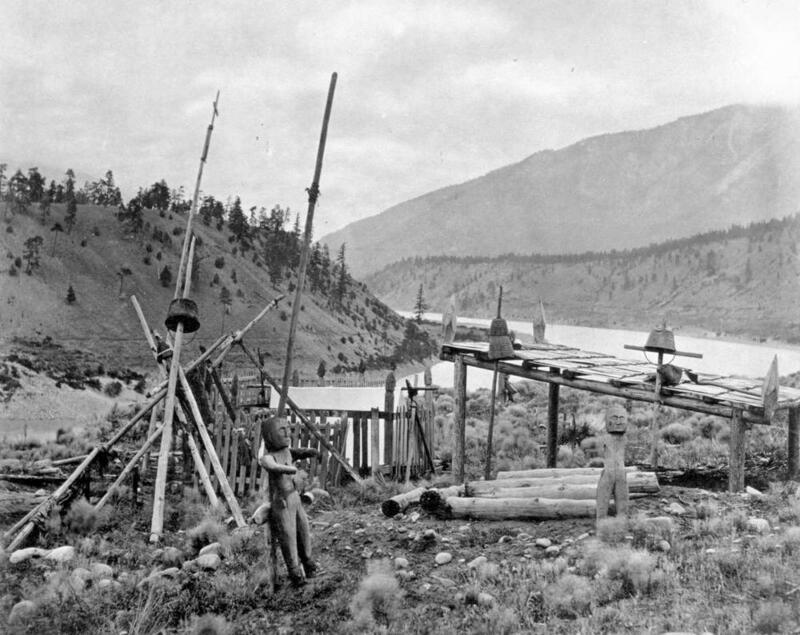 ItemE-01933 - Fort Hope From Across The Fraser River. ItemE-01938 - Lytton Indian Cemetery. ItemE-01948 - Third Avenue, Prince George. Item E-01938 - Lytton Indian Cemetery. Restriction: image HP79736 is a glass plate negative. Researchers should consult the online reference image or reference room copy prior to consulting the original. Plate # 8 Indian Grave at Lytton, B.C. "No. 53 Indian Grave Lytton, B.C.